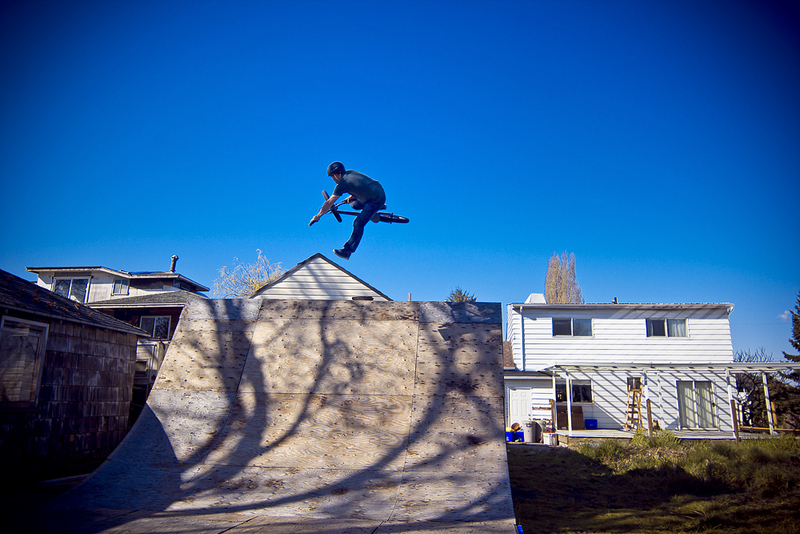 A riding photo of me shot last weekend at Ron Mercer’s backyard slice of heaven, The Woodyard. Pretty stoked on how this one-footer over the hip turned out. This was shot at the end of a long riding day, the ramp was starting to get busy with some fresh young’ins that had just shown up, and I was pretty tired. I think this shot is from my last run of the day… Psyched. Thanks for the shot Paul. I’ll be poaching this for my Facebook profile pic for sure. 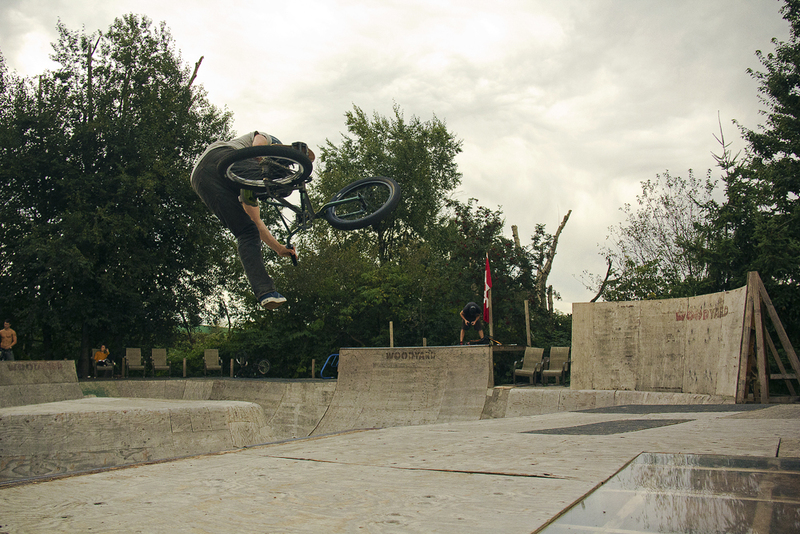 No-hander over the hip at the Vanier Park Dirt Jumps grand opening. 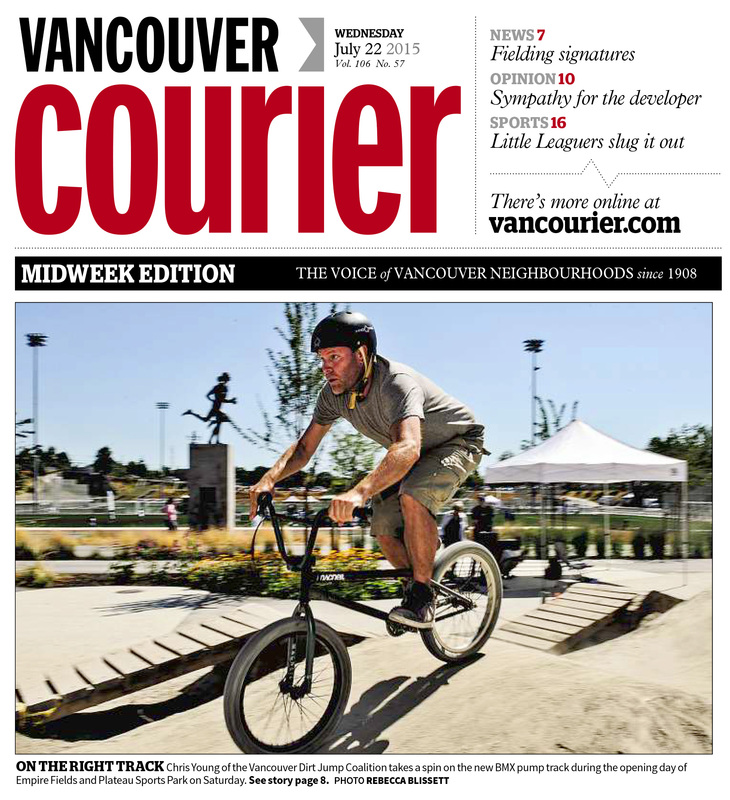 This past weekend was the grand opening of the new BMX/Mountain Bike Dirt Jump Park, centrally located in Vancouver’s Vanier Park, just a few steps away from the beach. 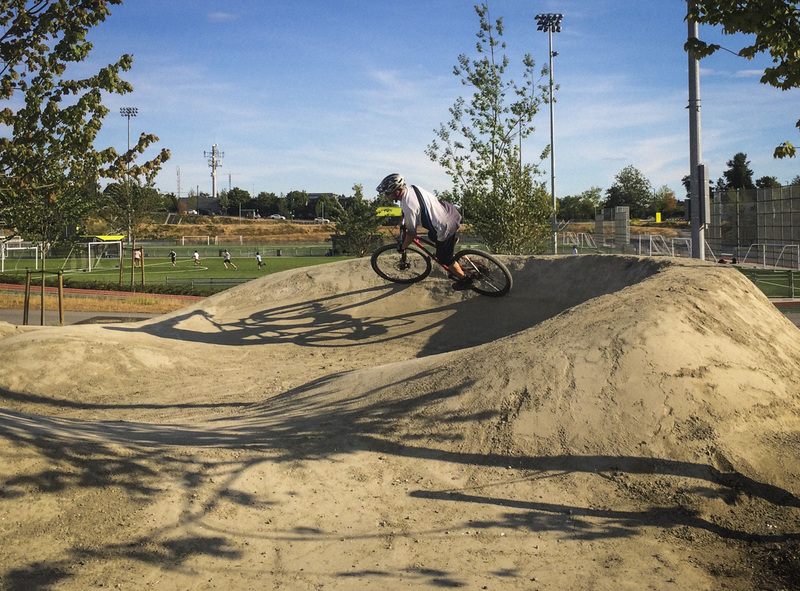 This is a project I’ve been working on for the last decade with the Vancouver Dirt Jump Coalition, ever since the dirt jumps at Oak and 37th were torn down when the City of Vancouver redeveloped Oak Meadow Park. With all the work I’ve done with the Vancouver Skateboard Coalition I’m very aware with how long the process is for these parks from initial discussions to the ribbon cutting event. So I’m very glad to finally be cutting the ribbon and getting this park finished. 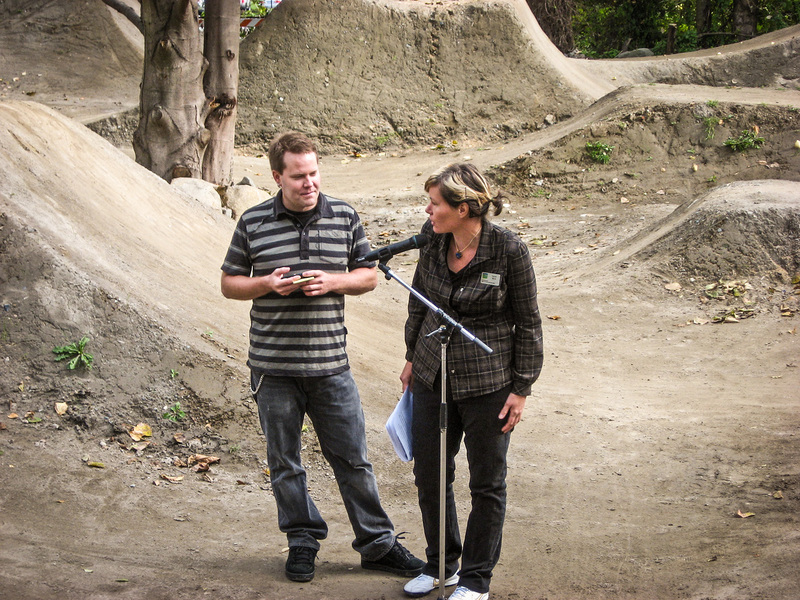 Sarah Blyth and myself with our opening speaches. The guys at Earth Ramp Bike Parks (Facebook page) were brought in to design and build the jumps and pumptrack and they did a great job. 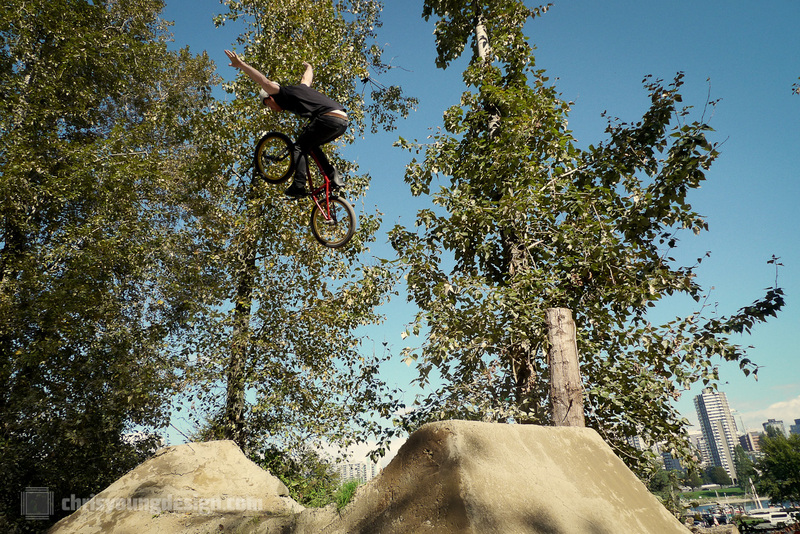 Certainly the big and intermediate lines are respectful and pretty authentic to what you would find at private trails, including real gap jumps and not just pyramid style tabletop jumps which is often what you see at city-built dirt jump parks.